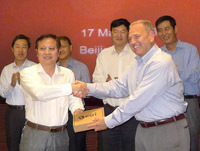 Dean Angelides, director, International Operations, Esri, and Feng Xianquang, director for NGCC, signed the historic agreement to share data with users around the world. 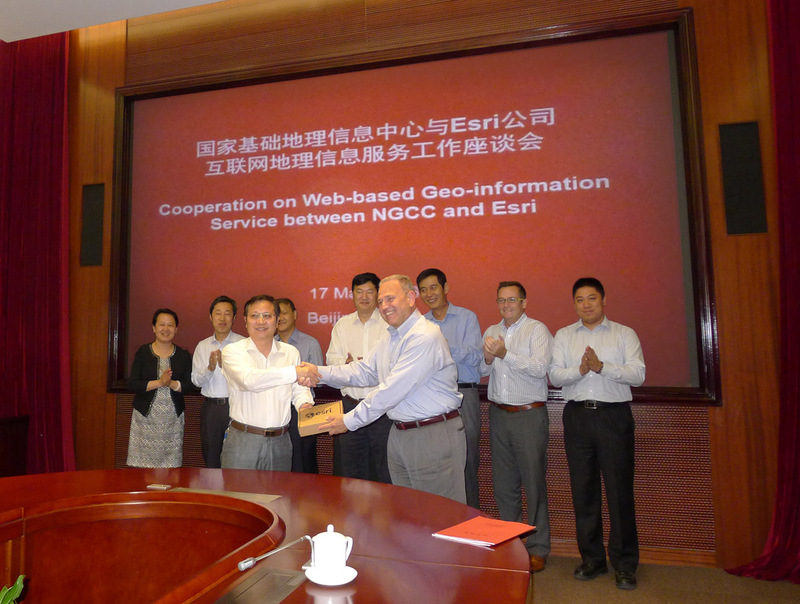 Redlands, California—The world’s leading mapping platform company, Esri, and the National Geomatics Center of China (NGCC) held a signing ceremony in Beijing, China with respect to providing access to NGCC’s mapping web services. This historic agreement will allow more users who reside outside of China to access the country’s authoritative cartographic and imagery data. Users of the Esri ArcGIS platform will have access to the maps for no additional charge. NGCC is a government agency attached to National Administration of Surveying, Mapping (NASG) and Geoinformation of China. NGCC is responsible for national data that is used in surveying and mapping projects in China, as well as facilitating the scientific and technological communication between agencies in China, in the areas of sharing geographic data and services over the web. The web services will be available in the third quarter of 2016. For more information on content available for the ArcGIS platform visit http://www.esri.com/data.